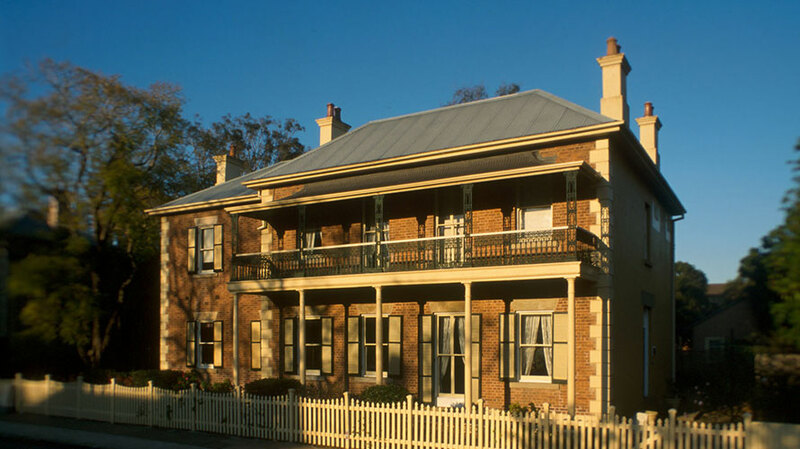 Grossman House, Maitland is one of two mirror image, Victorian Regency properties, built side by side on the same lot in 1870-71 for the prosperous business partners, Isaac Beckett and Samuel Owen. The buildings are thought to have been designed by local architect, William White. It is interesting to note that the main entrance to each residence was located on opposing sides rather than at the front, to give a degree of privacy – although the two families shared a common laundry. Maitland at that time was Australia’s largest inland town, and the commercial heart of the prosperous Hunter Region. Beckett and Owen arrived from England in 1838, and quickly diversified their High Street business to become ‘General Merchants, Tailors and Woolbrokers, Wine, Spirit and Tobacco Merchants’. Between 1892 and 1963, the building housed Maitland Girls’ High School, one of the first four public high schools established in New South Wales. Some changes were made to the property to accommodate the School, but in recent years the National Trust has restored the house to reflect the status and era of its Victorian owners. Gas lighting has been re-installed, and wallpapers recreated from surviving fragments. 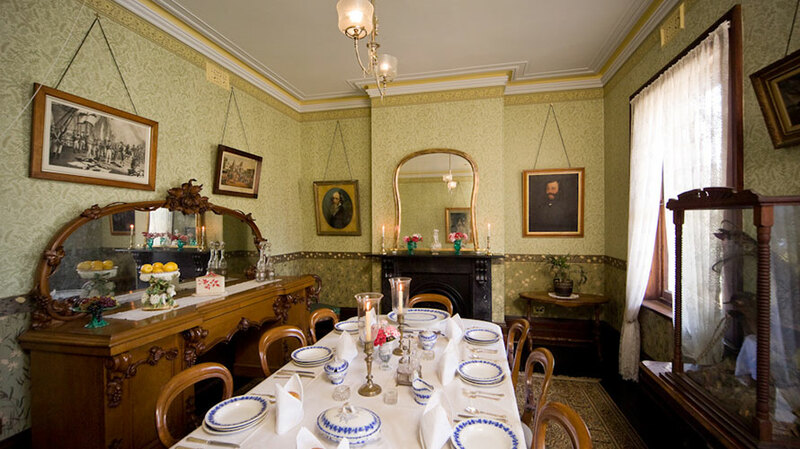 Servants’ bells and a Butler’s Pantry are reminiscent of the daily workings of a prosperous Victorian household. Characteristic furnishings, sourced as far as possible from the region, complete the experience. The garden has clearly defined public and private spaces with the formal front plantings and the more private and serviceable back area.